The era of very large passenger aircraft like the Airbus A380 and the Boeing 747 is coming to an end. Most airlines no longer want the Airbus “Superjumbo” or Boeing’s “Queen of the Skies” as they increasingly opt for smaller wide-body versions that are fuel-efficient, flexible and viable to operate. “We have seen a very consistent pattern that demand for big planes, whether they be the 747 or the A380, is just not there,” Randy Tinseth, vice-president for marketing at Boeing Commercial Airplanes, told the Bangkok Post. Demand for these jumbo aircraft is shrinking fast, with the US plane maker building as few as six 747-8 jets a year. European rival Airbus is planning further cuts in production of A380s to fewer than 12 a year. The 747 and the A380, each propelled by four engines, typically seat 410 and 544 passengers, respectively. Market demand for the iconic jumbos today is far less significant, to the point that Boeing no longer treats them as a separate market segment and instead includes them in the medium-to-large wide-body airliners with the likes of the 777 and the A350, according to Mr Tinseth. Boeing last year issued a projection that over 20 years to 2035 the world’s airlines would require 530 deliveries of aircraft the sizes of 747s and A380s. Airbus secured no new orders for the double-deckers last year after Iran opted not to go ahead with an outline deal for 12 planes. But the company delivered more than 28 aircraft last year, thus reducing the backlog to 107 as of April 30. There were 213 A380s in service as of June 30, with the bulk of them operated by Dubai-based Emirates. Mr Tinseth said many of those A380s are vulnerable to cancellation or deferral. Since Boeing launched its latest jumbo, the 747-8, in late 2005, it has won just 40 orders for the airline passenger model and will rely on selling freighter or VIP versions. The potential few orders over the coming years for the aircraft, with its instantly recognisable forward hump, are those for foreign heads of state, plus the two or three heavily modified 747s that will be supplied to serve as Air Force One for the US president. Boeing will keep making the 747-8 as long as demand remains, however small, Mr Tinseth insisted. 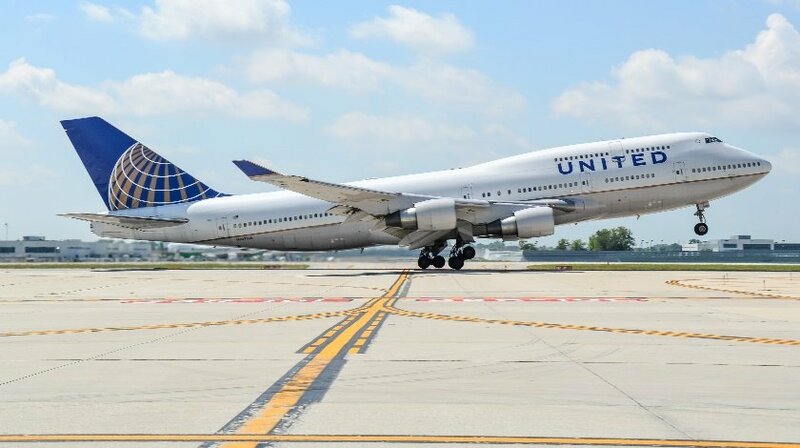 The 747-8 programme was given a boost last year when cargo carrier UPS placed an order for 14 747-8 freighters and an option to purchase an additional 14. While the passenger version of the 747-8 is on the way out, Boeing believes there is still potential to sell the freighter version as the global economy improves in the future, Mr Tinseth said. Such a market opportunity does not exist for the A380, which was essentially built for carrying people with its two-deck design and is not technically able to be converted into a freighter. With its iconic nose door, the 747-8 freighter has 16% more revenue cargo volume than its predecessor, the 747-400F. Boeing has committed to keep providing support for operators of 747 fleets. The company has delivered 1,552 jumbo jets since the first 747 took to the skies in January 1970. There were 515 Boeing 747 aircraft in airline service, including those of Thai Airways International, as of July 2016. According to Mr Tinseth, the new generation of enlarged twin-engine wide-body jetliners such as the 777-10X and the 787-10 Dreamliner, as well Airbus’s A350-1000, are substituting demand for the jumbo aircraft at airlines. The 777-10X, a longer derivative of the current 777-300ER, will accommodate 450 passengers as a replacement for the A380 superjumbo, but with two engines. Boeing’s latest annual 20-year market forecast, issued late last month, projected strong demand with 41,030 new aircraft, up 3.6% on last year’s forecast. The value for aircraft in the new projection is estimated at US$6.1 trillion. Boeing foresees demand for the so-called medium-large widebody, categorised as such because of its more than 300 seats, to reach 3,160 units over the 20-year period, with a total value of $1.16 trillion.